I eat very healthy day to day or at least I try! Crisps used to be my biggest downfall at all, I could have a healthy breakfast, lunch and dinner but then I would succumb to a bag of crisps and feel really guilty after. 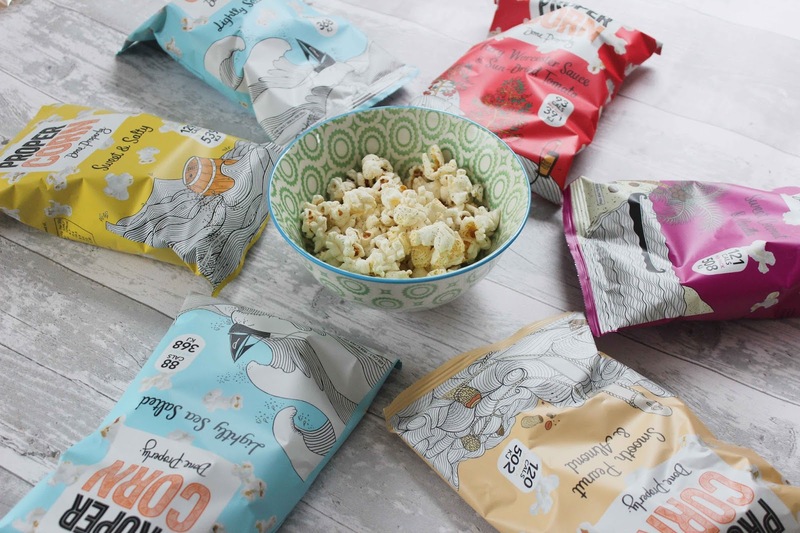 This was until I discovered Propercorn, it's my absolute favourite snack at the moment and the best thing about it that it's guilt free! It's gluten free, low in calories, carbs, fats and comes in lots of different flavours. 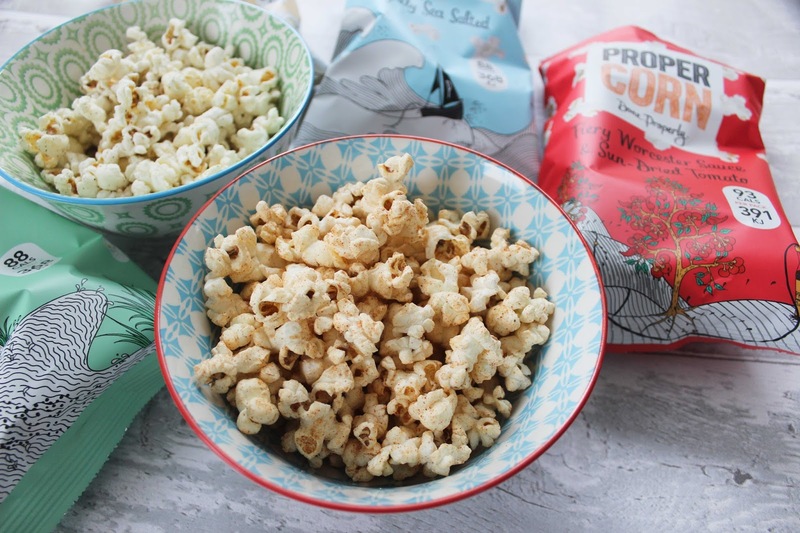 When Propercorn* emailed me and invited to experiment with their popcorn to celebrate the launch of their new campaign The Institute Of Flavour, I almost squealed with excitement! 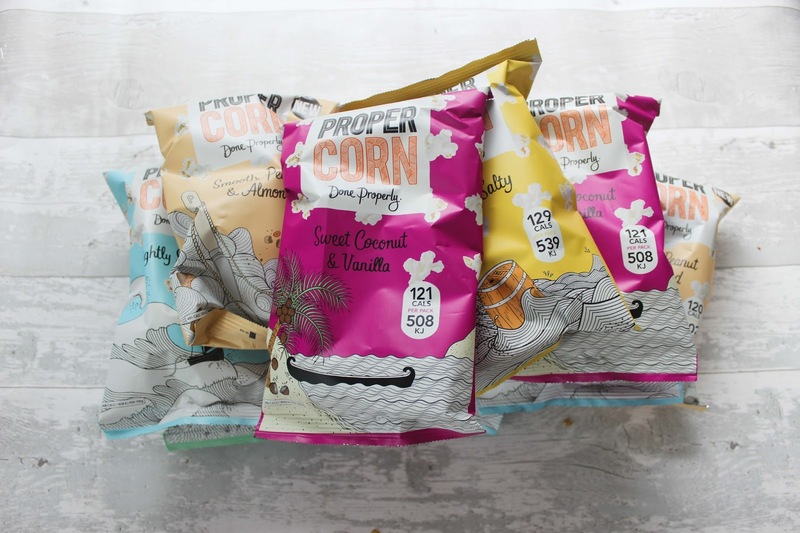 I mean I have been making a trip to the shop every lunch time just to get my hands on a bag so I was so so happy to be sent a generous helping of Propercorn. Below you can read my review of every single flavour! This is actually my favourite flavour of them all, it's my go to flavour when I'm craving crisps. 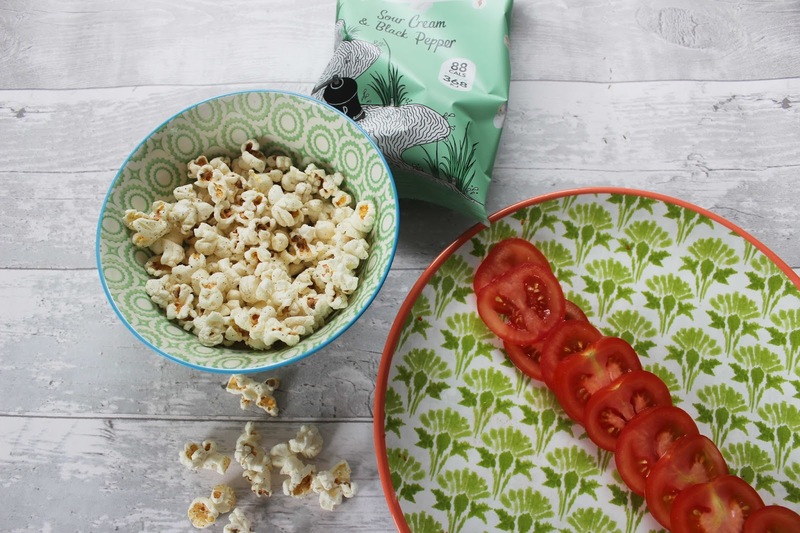 The sour cream gives the popcorn a delicious creaminess and the spring onions and black pepper perfectly balances it off. 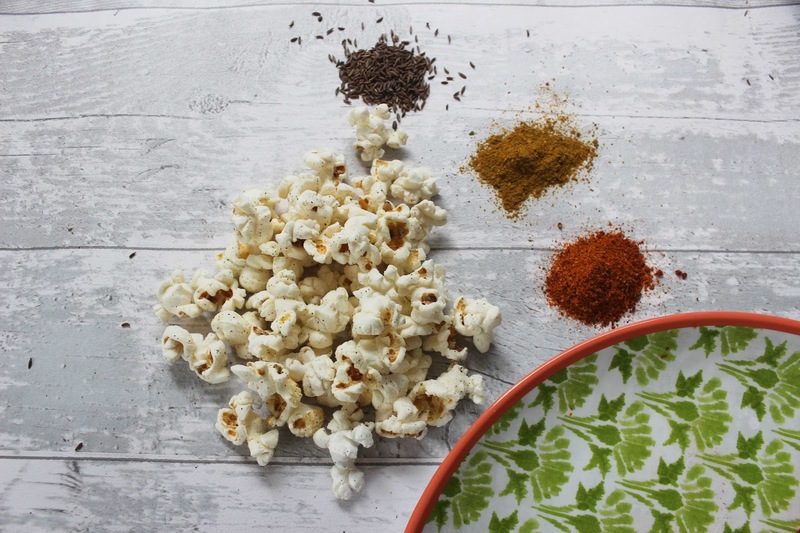 This is a truly experimental flavour and it is indeed very different from any other popcorn I have ever tried! It's another great swap for when the crisp cravings hits. The tomato flavour is very strong and there's a slight kick to them which builds a nice heat after a few handfuls. I eat quite a lot of spicy food so the heat seemed quite mild to me but if you're not used spice you might notice it a little more. One of my favourite snacks are chopped up tomatoes with a sprinkle of salt along with the Worcester sauce popcorn afterwards. This has to be my second favourite flavour! It's so simple but just so good. The combination of sweet and salty is absolutely perfect and they're so incredibly moreish. The corn is popped to perfection and I am yet to find any un-popped kernels in the pack which is very impressive. Tip: the brown pieces are the sweetest! I use coconut flour for baking and coconut oil for cooking so I'm quite a big fan of coconut flavour. This popcorn had a gentle flavour of vanilla and coconut nicely balanced together. However, I have to say I didn't like this flavour as much as I thought I would, without the salt to balance out the sweetness I found it a little sickly. Although I would definitely recommend that you give it a try yourself and see what you think. This popcorn has to win a place in my top three choices. It's such a unique flavour and surely to win a spot in any nut lovers heart. The first time I tried it I was a little worried that it would be dry and powderry but alas that is not the case, this flavour is rich, creamy and delicious! 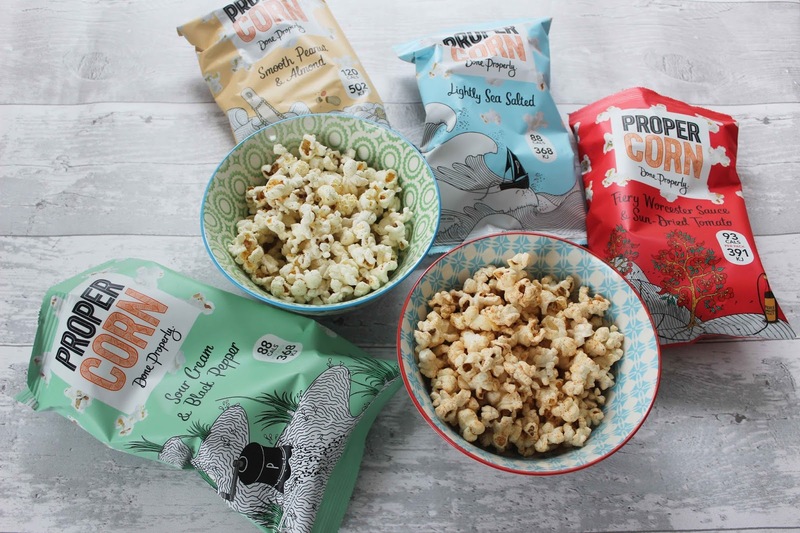 This is a classic flavour of popcorn and definitely the safest option out of all the Propercorn flavours. Personally I like to adventurous with my food and that includes popcorn so I would usually pick one of the other flavours. 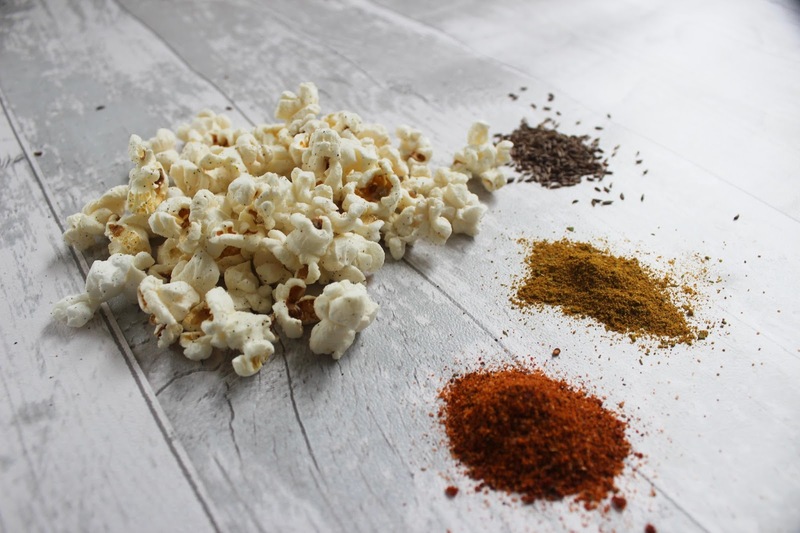 The Institute of Flavour will allow people to learn all about the art of making of Propercorn and even allow people to come up with their own signature seasoning. 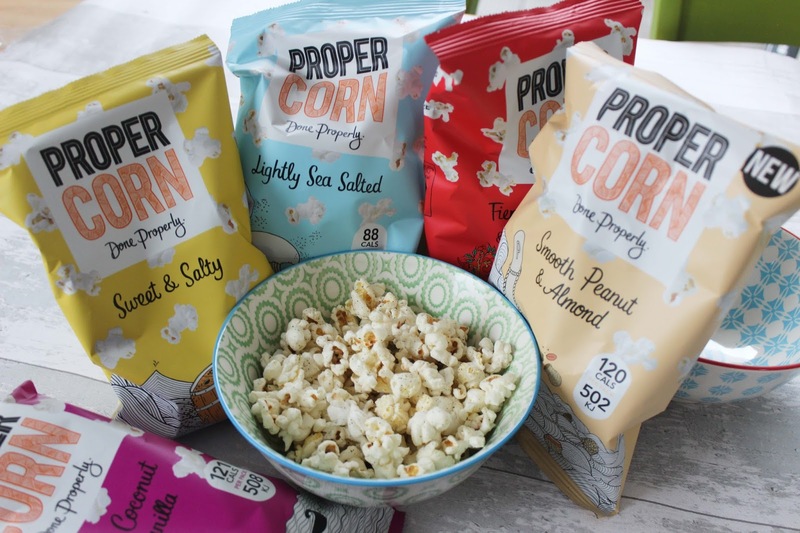 Have you tried any Propercorn? What's your favourite? I didn't realise they had so many different flavours! Out of the ones pictured I've only ever tried the sweet and salty one, but it was absolutely delicious! I'm desperate to try their peanut and almond flavour - but coconut and vanilla is a firm favourite of mine! Mmm I am absolutely addicted to these and get them for lunch most days! The peanut and almond one is definitely my favourite though... I could actually eat it all day! !